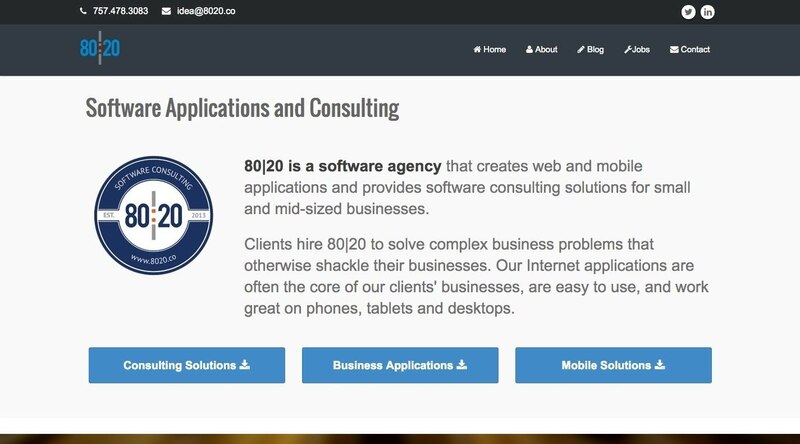 80|20 is a software agency that creates web and mobile applications and provides software consulting solutions for small and mid-sized businesses. We're excited to have @fvcproductions joining the team as a front-end developer! From our client...@iambriansreed and @fvcproductions are extremely knowledgeable and gave me tremendous insights \[for\] my website! @fvcproductions Great work tonight! Nice handoff from the Balderdash series to @8020co.